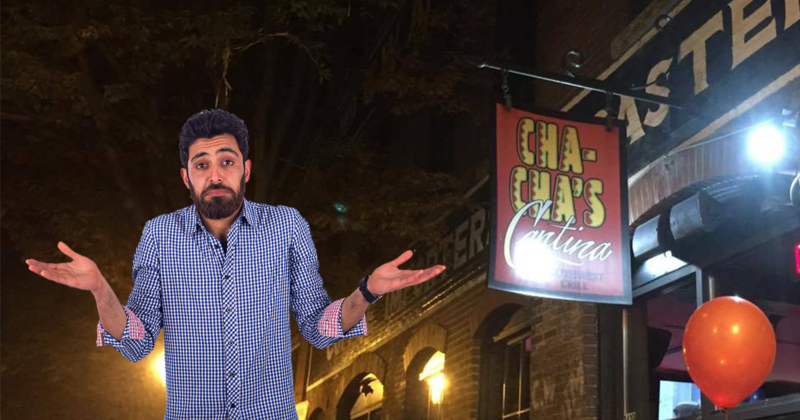 RICHMOND, Va. — During the chaos of a lively Saturday evening, recent University of Richmond graduate Clay Hilliard spent most of his night at Cha Cha’s Cantina trying to decide between urinating in the bar bathrooms or into the canal one block south. Hilliard went to Shockoe Slip with some of his fraternity brothers, initially meeting up at Southern Railway Taphouse. Around 11:15 p.m., Hilliard and his friends left Taphouse to stand in line for Cha Cha’s Cantina where they spent the rest of their night. However, things took a turn around 11:35, when Hilliard realized he had to use the bathroom. Eyewitness accounts confirm that he left his friends on the dance floor to go use the facilities, but he was deterred by the number of people waiting in line. “I really don’t want to stand in this line,” Hilliard complained to bystanders. He then spent over an hour pacing between the bathroom and the front door, asking other bar patrons if the nearby canal was pee-friendly. Hilliard was reunited with his friends on the dance floor around 1:00 a.m. after ultimately choosing to sneak away to a corner of the patio and urinate into an empty solo cup.